If I had used a sawzall or reciprocating saw, things would have been different. Consequently, you can see the effect of choosing the right tool for the right job. The first two I owned were the Craftsman reciprocating saw and the Hilti reciprocating saw. I did not research carefully and had to abandon two of them. 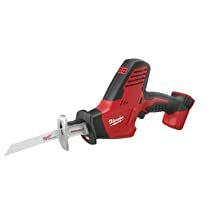 After reading through a ton of reciprocating saw or sawzall reviews, I’ve come up with my own list of the top rated sawzall. I hope this piece of information will help you find the sawzall brand. 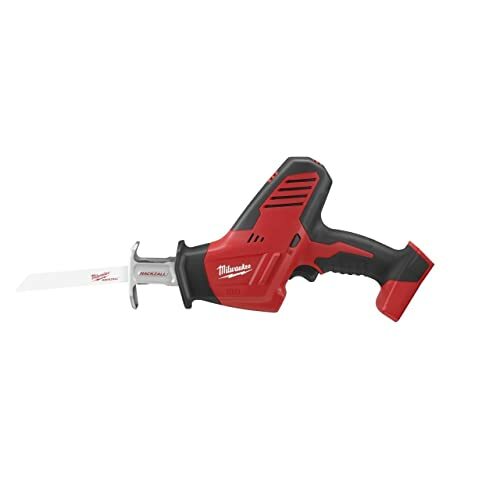 This Milwaukee reciprocating saw is one of the best-rated sawzall on the corded category. The highlight of this sawzall is the powerful amp motor with overload protection. You will own a tool that is not only powerful but also extremely durable. You can cut through any type of material for very long hours without slowing down. Powerful motor with overload protection – Ever dump a reciprocating saw because the motor gets burnt up? I used to abandon two sawzalls due to overheat. I was too much into my work that I forgot to give them a break. If you have to stop constantly because of overheat, your productivity will definitely decrease. Anyway, that’s the case of the low-quality sawzalls. With Milwaukee 6538 21 you don’t need to worry about the overheating problem anymore. This power tool offers the highest overload protection in its class. You can work constantly without worrying about any mechanical failure or burn up. My productivity has increased tremendously since I used this reciprocating saw. Cut constantly without slowing down – Like the overheating problem, your productivity also decreases significantly if the speed slows down. You need to wait until the machine cools down to get it operated at normal speed. Thank god that the manufacturer has already taken care of the problem. They equip every sawzall with Constant Power Technology that maintains a constant speed for unmatched cutting performance. As you are cutting at the same speed with different kinds of materials, the chance of getting blade lock up or breaking decreases significantly. Extended motor and gear life – To extend the motor life, they attach a patented gear-protecting clutch absorbing all the impact forces in case of getting blade lock up. The drive train receives a lot of impacts when blade lock up happens. At the same time, the blade might also break apart. In extreme case, the broken blade pieces might be sent flying to somewhere in the air. The worst thing you want is that it flies into somebody or yourself. With all the impact forces absorbed by the protecting gear, you not only have a sawzall with more longevity and safety but also save money on replacing broken blades or motors. You also have more productivity because you don’t need to stop working to change the broken blade. Low vibration for more precision – Have you ever used a reciprocating saw without counter balance mechanism? Whether you use it or not, I get to tell you that it’s tiresome. You get hands fatigue easily when trying so hard to balance the tool. The patented counterbalance mechanism of this sawzall offers a smooth operation with extremely low vibration. Consequently, you don’t need to spend time adjusting the balance of the tool. Also, with less vibration, you can perform the most precise cut. Variable speed dials for cutting different materials – If you frequently perform a repetitive cut on different types of materials, the convenient variable speed dials should be helpful. It generates speed from 0 to 2,800 strokes per minute. You can set the appropriate speed to match the material without feathering the trigger. Designed for heavy cutting – With the powerful motor and variable speed features, this sawzall is suitable for heavy cutting jobs like metal cutting, drywall, concrete cutting and other types of jobs. Compact and lightweight – As powerful as it is, the reciprocating saw only weighs around 14 pounds. The size is also suitable for working in tight spaces. It is also storable in very limited spaces. 5-year warranty – This is the longest warranty term I’ve ever seen. It’s amazing that you can replace or repair the faulty one within 5 years. You don’t need to worry about anything when using this tool because the warranty service will cover everything. Shoe pin falls out – Since the shoe lever is plastic, it flexes easily and drops the pin out. The shoe pin is what holds the guard, so if you want to keep the guard, you will need the pin. The pin is not that big so you might have trouble finding it if you work outdoor. This part is the least available one on the store. It is usually out of stock. The reason could be that many people are having the same problem. They all lose the pin thus the demand for this part might be really high. Heavy duty extension cord required – Like other corded reciprocating saws, you might need to get an extension cord for further reach. However, the extension cord must be a heavy duty one, and it might cost you more. Powerful and durable are the highlight characteristics of this sawzall. If you want a powerful corded sawzall with extra longevity, this sawzall is for you. This is a sawzall design exclusively for heavy duty tasks. When using this tool, make sure to watch out for the shoe pin. This Bosch reciprocating saw not only has incredible and consistent power but also has dual LED lights to illuminate your cutting line. The tool is also very easy to use with features such as tool-less blade change system, simple variable speed trigger, all-purpose blade. The unique sky hook is also what makes the customer buy this sawzall. Dual LED lights – If you work under low light condition, you will love this feature. Similarly, I occasionally work under low light condition too. In such moments, this dual LED lights really are my saviors. The LED lights are just bright enough not to hurt your eyes yet still illuminate the cutting line clearly. Whenever I work in tight corners (very low light), I have to go through many trial and error to get a precise cut. At a time like that, I work slowly but not surely at all. I end up wasting many materials due to the error. There are cases where you can’t afford to screw up even once. Not to mention that is not safe to cut under the dark. Thank to this LED lights providing illuminated cutting zones, I can securely and effectively cut through the toughest materials under the dark. With this feature, I have saved many materials owing to less error. At the same time, I have also eliminated the risk of cutting under the dark. This feature basically makes this sawzall become one of the best corded sawzalls. Strong and consistent power – Do you often have to cut tough materials? Me too, that’s the reason why we purchase a corded power tool. Usually, every corded tool has more power than the cordless one. However, the power of Bosch RS7 is a bit above the average. The 11 amp motor ensures that the reciprocating saw can deliver reliable cut through the hardest materials. The cutting capability includes a wide range of applications varies from wood to construction materials. To test the power of this sawzall, I used it to cut plywood, laminates, PBC, PVC, metal sheets, drywall, metal piping, cement board, sheet metal, or rough lumber. In the end, it cut through all of them effectively. I did not face any problem during the test. The cutting speed is also very consistent after each cut. You won’t see this sawzall slow down because of the heat up after every cut. This consistent power will increase your productivity. This constant speed combines with the incredible power making this sawzall a beast that always thirsts for more cutting actions. Tool-less blade change system – Nothing worse than having to touch the hot blade after the cut. For regular sawzall, you might need a screwdriver to replace the blade, which is inconvenient if you are cutting different types of materials. You have to wait until the blade cools down, and not to mention the time it takes to change the blade using the tool. As you can see, the conventional blade change system actually makes your productivity go down. On the other hands, the tool-less blade change makes the process easier. You don’t need any tool to change the blade. The blade installation or removal is effortless. No more carrying the tool around to change the blade, no more touching the hot blade or waiting for the blade to cool down. With the tool-less blade change system, you will work with more productivity and safety. Ergonomic – Do you workout? If the answer is yes, you know the feeling of gripping the barbell bench bare-handedly while pressing it. Your hands hurt like hell and all you want to do is to throw it away. Same with gripping barbell bench, gripping a hard plastic handle on the sawzall is as frustrating. On top of that, the sawzall also vibrates and that makes the pain worse off because your hands are the shock absorber. Your hands will become tired quickly, and if you keep on working, you might get hands fatigue. Rage quitting (throw everything away) during barbell bench press or sawing with the sawzall are both equally dangerous. If you really care about your own safety then use a reciprocating saw with soft ergonomic handle. With this reciprocating saw, you can forget about all the pain you have to endure during the work. A soft handle provides comfortable and safe grip. On top of that, the soft handle also reduces the amount of vibration. You can cut for hours without getting tired. Easy to use variable speed trigger – Variable speed trigger works in a very simple way, the harder you press the faster it goes. When dealing different types of materials, the only thing you need to do is to press harder of softer to match the right speed with the right material. Imagine how terrible it would be to work with various material types without a variable speed trigger. For each cut, you have to stop to adjust the speed. Not to mention for some type of material, it requires you to go in slowly first, and go faster later. You will end up spending too much time adjusting the speed while there is still not much of work done. With variable speed trigger, you get more convenience and productivity during your work. The feature might sound simple but it is actually very important if you work with wide variety of material. Now you can cut through anything from soft materials to dense materials like concrete and metals. Long and durable power cord – The power cord of this reciprocating saw is longer than the usual one. There will be less hardship when reaching further or higher areas. The power cord is also very durable. Multi-use package – First of all, you get an all-purpose blade. The all-purpose blade is basically a blade that you can use in any type of material from wood to metal. You’ll save a lot of money purchasing different blades for various materials. On top of that, you also have a carrying case. This will make the sawzall easy to store, you put everything into a case so you won’t lose separate part of the tool. Likewise, the case will guard the reciprocating saw against external factor that might damage the sawzall. Lastly, transporting the sawzall around is also easier with the case. 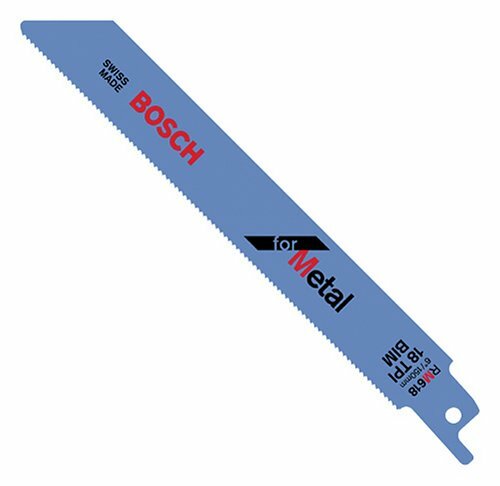 Strong blade – Unlike other sawzalls, Bosch RS7 comes with a very strong blade. The blade is sturdy enough to endure any blade lock-up. It is not easy to break the blade at all. Also, the blade is sharp enough to cut through any type of material. You will save a lot of money from replacing the broken one. Sky hook – There is hardly any sawzall with the hook on it. On the other hands, this sawzall has a hook for you to hang it on the wall. As there are not many sawzalls with this feature, the sky hook becomes something that is very unique. Somehow, the customers love this hook and it is one of the vital selling points of this sawzall. Easily popped out blade release – I warn you not to let anyone stands in front while you are working. The blade release keeps popping the blade out in the middle of the work. If you are lucky enough, the blade only gets stuck in the wood. Otherwise, the blade will eject and fly out of the window. At the first time I experienced this problem, I thought the blade was haunted with some kind of ghost who tried to kill me (just kidding though). Also, I thought I was just unlucky to get the defective product. Yet the replaced one had the same problem, and as I read complaints from other reviewers, I can safely confirm it is due to poor manufacturing. 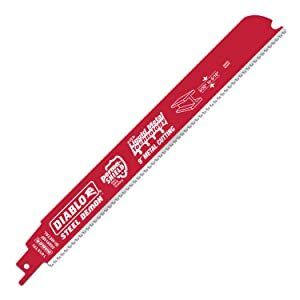 By and large, this is a really good sawzall. The reciprocating saw has many unique features like dual LED lights, variable speed trigger, tool-less blade change system, and a sky hook. The focus of the manufacturer is to provide you as much productivity as possible. Every feature in this sawzall is to serve your productivity. I’ve read many Milwaukee reciprocating saw reviews, and decided to purchase this cordless sawzall. At first, I purchased it because I want something convenient. The one-handed design impresses me a lot. Likewise, the compact and lightweight design also give me an easier time controlling this sawzall. Moreover, the built-in LED lights and QUIK-LOK blade clamp also works very well. 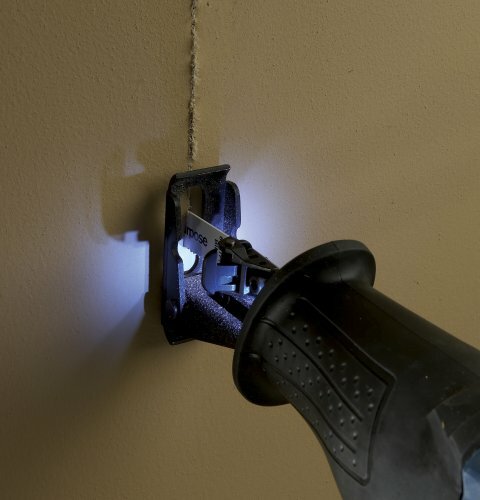 One-handed design – The sawzall is extremely lightweight and compact. It weighs 9.38 pounds and has the dimensions of 17.72 inches length, 10.72 inches height, and a width of 4.65 inches. Such numbers let you know that controlling this reciprocating saw with only one hand is feasible. This design will firstly reduce any hand fatigue you might face. Thanks to the weight, you’ll have maximum control over this sawzall, allowing smooth operation. On top of that, the weight also makes overhead work a piece of cake. Lastly, the compact design enables the user to work in very tight spaces. QUIK-LOK Blade Clamp – First of all, this blade clamp solves the problem that the other sawzalls face, the problem is that other blade release is very loose and eject blade out easily. On the other hands, this QUIK-LOK blade clamp holds the blade so tightly that there is no chance the blade will ever fall out. The blade change mechanism requires no tool at all. You can easily change the blade without touching it. It increases your safety because you don’t need to touch the hot blade. In addition, the blade might fly into somewhere if it ejects out while cutting, which is extremely dangerous. With the blade clamp that tight, you don’t need to worry about it anymore. Moreover, your productivity will also increase since you don’t need to stop to put the blade back every time it falls out. Also, you don’t need to wait until the blade cools down to take it off. Built-in LED lights – Like I already said before, with LED lights you don’t need to waste time and resource through trial and error to get the desired cut. This will reduce the chance of wrongly damaging some hidden pipes. Overall, you don’t need to worry about some missing spot because you can’t see what you’re doing. Powerful – With 18 volts battery, the reciprocating saw is able to produce a speed range of 0 – 3000 strokes per minute. The speed range allows cutting through various types of materials like wooden partition, cutting marble, trimming twigs and bushes, or sawing plastic or PVC pipes. Reviews from customers show no sign of overheat or diminishing performance of the sawzall. Although the reciprocating saw is a bit underpowered, it still manages to give you the consistent power to get your job done. Long stroke length for speedy performance – Owing to the long stroke length, you not only get the done properly but also spend only minimal effort and time. The sawzall comes with a 0.75 inches long stroke that cuts butter through all types of materials. 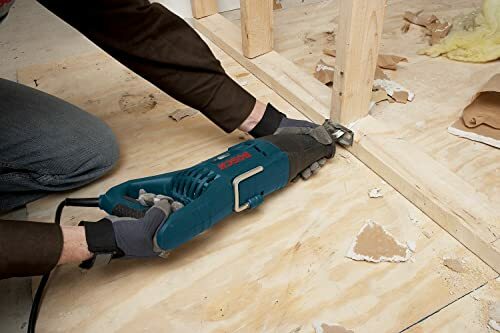 The sawzall has proven its strength through these objects including rubber, foam, carpeting, or hard materials such as metal, hardwood, plastic, marble, PVC and more. Long battery life – High capacity Lithium-ion batteries will let you cut for hours without drained quickly. A longer battery life will save you a lot of time as you don’t need to wait for the battery to recharge to keep on working again. Your productivity will increase significantly with a long battery life. 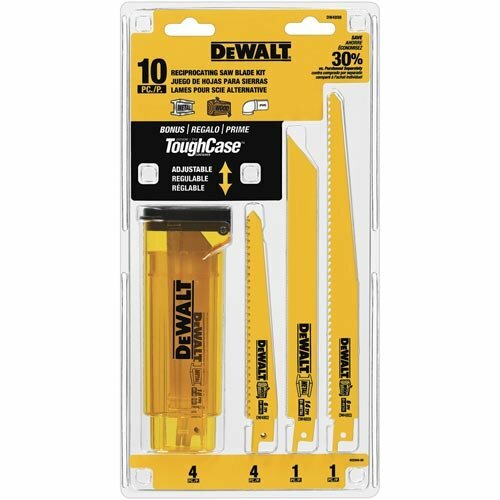 Expensive battery – I should remind you that this is a bare-tool sawzall, meaning that you won’t get any battery pack. You will buy the battery separately with a little bit high price. However, since the battery life lasts longer than the regular one, it is reasonable for it to cost a bit higher. A bit underpowered – Although the sawzall produces as much speed as the corded sawzall, it is still a battery powered sawzall. What I mean is that its power cannot compare fully to the corded sawzall. But for something this compact, lightweight and can operate one-handed, you should expect this type of downside. What impresses me about this saw is its compact size yet still, generates enough power to cut through tough material. This is a sawzall you can use one-handedly, and you definitely have more control over this sawzall since it’s only 9.38 pounds. More importantly, the blade clamp of this sawzall holds the blade tighter than the other sawzalls, it is a big plus point for this sawzall. Since other reciprocating saws are having a hard time to get a proper blade clamp. Last but not least, a tight blade clamp also relates to your safety. 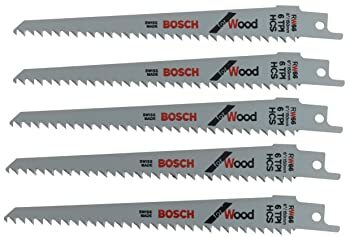 If you want something compact and lightweight with sufficient power, I would recommend giving this reciprocating saw a trial. The price of this sawzall alone is as high as a powerful corded sawzall, yet the separate battery pack makes it even higher. Therefore, you should consider carefully what you need before purchasing it. This Ryobi reciprocating saw is a similar version of Milwaukee 2625-20 M18 but with a lower price. It also has the powerful cutting capacity and long stroke. On top of that is the ergonomic design that reduces the chance of getting hands fatigue to the minimum. The sawzall also has unique grip zone and adjustable pivot shoe. Cut smoothly with high cutting capacity – Even though it is a cordless sawzall, it produces wider speed range than even the corded sawzall on this list. Powered by an 18 volts battery, this reciprocating saw generates a speed of 0 – 3,100 strokes per minute. Combine the speed with the 7/8 inches long stroke I guess you can imagine how incredible the power is. 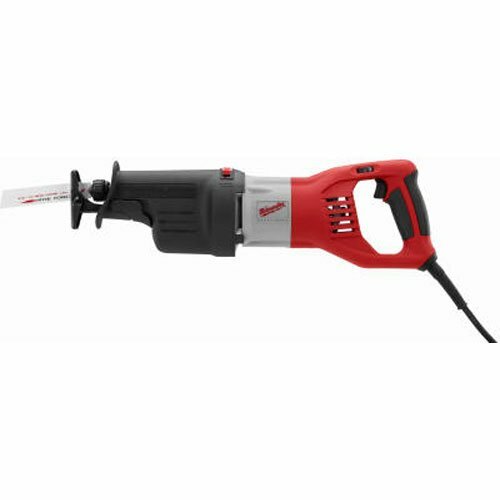 Owing to the no load speed trigger that minimizes the impact of the initial cut, the sawzall can easily cut through wood, metal, plastic, ceramic, bushes, tree branches, PVC, masonry and other objects. Ergonomic design – Ever since I used this sawzall, I have gotten less hands fatigue even for long hours of sawing. With the smooth body construction, well-contoured curves, and the unique Anti-Vibe handle; you won’t get hands fatigue unless you work for days like an extremist without stopping. As your hands get more comfortable with the sawzall, you are free to get the best result of your work without facing tiredness and frustration. Clearly, the ergonomic design is also one of the factors that decide the precision and perfection of your work. Grip Zone – The Grip Zone Technology prevents accidental slippage, numb fingers, and excessive sweating while controlling this sawzall. Nothing worse than accidentally slip the sawzall off your hands because you don’t know where the blade is heading to. 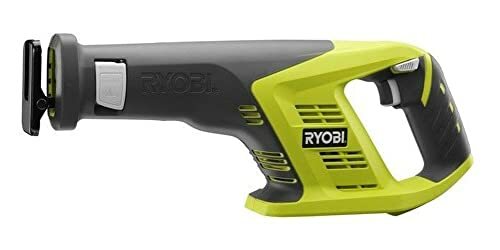 Ryobi P515 ONE Plus offers you a grip zone over the mold which is suitable for working in long hours. The grip is durable that it does not lose shape or structural integrity after several uses. Moreover, the over-mold also provides more comfort for handling the sawzall. Adjustable pivot shoe – When you cut too deep, there might be a lot of vibration and shock. This sawzall features an operator that can easily adjust the depth depending on the cutting object. By adjusting to the sharper position of the saw, you can improve the cut with minimal effort and time. Lock-off button to prevent accidental start – Accidental start is really dangerous especially while you are putting the blade on the sawzall. You might end up cutting off your fingers or hands without the lock-off button. In addition, the lock-off button also keeps your children from using the sawzall. Variable speed trigger – Variable speed trigger allows you to work conveniently with different types of materials by just pressing the trigger harder. It allows you to have a slow start to properly establish the cut, after that you can increase the speed to cut normally. A good start usually leads to a good cut. On top of that, the variable speed trigger also works hand-in-hand with the electric brake to stop or slow down the blade immediately. This feature is helpful when you perform several shallow cuts, you don’t need to wait until the blade stops itself to start a new cut. Tool-less blade clamp – Like other sawzalls, the blade change system of Ryobi P515 ONE Plus allows you to change the blade without using any tool. On top of that, you won’t touch the hot blade. Low battery life – Compare to Milwaukee 2625-20 M18, this sawzall has much lower battery life. 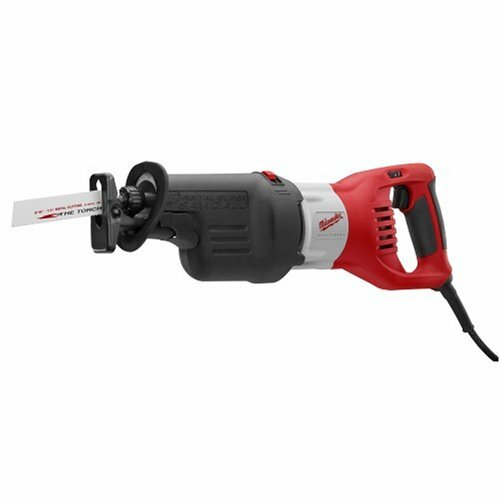 However, the price of this sawzall is much lower than Milwaukee 2625-20 M18’s. As a result, you can use the spare money to purchase additional batteries to deal with this downside. This sawzall is a less expensive solution for those who want a cordless sawzall but can’t afford the one with a high price. The focus of this sawzall is the ergonomic feature. The manufacturer tries its best to provide the maximum comfort for the users. In conclusion, choosing the right sawzall is not an easy task. You should carefully evaluate your need and budget to make a decision. 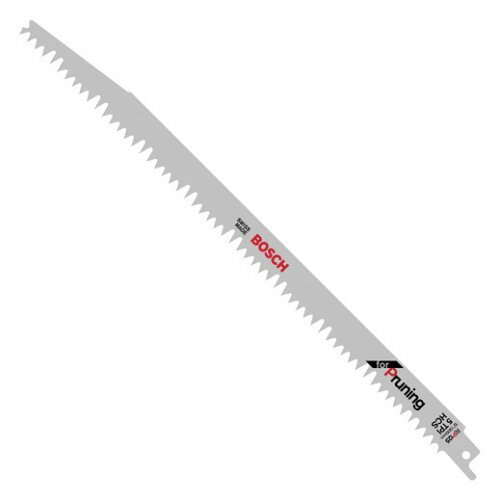 In addition, don’t forget about safety when choosing reciprocating saws. On top of that, make sure to get one that provides as much comfort as possible.